You can easily lose yourself when it comes down to online services. Especially when you’re starting your own online business. You need a hosting account. Domain name. 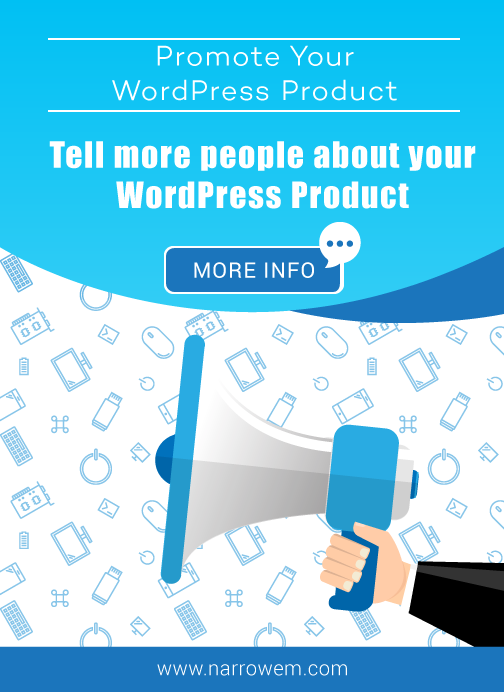 WordPress themes and a couple of plugins depending on your project. The more services you use the more accounts you will have. Believe me, it’s hard to manage throughout all the login details, accounts, pages, expiration dates, and accordingly, payments if the service you’re using is a paid one. But you know, I’m sure you do. We’re constantly bombarded by different providers who claim that their product is better and that we should purchase their service. Here I’m going to show you how to transfer domain from GoDaddy to Siteground. Something which will slightly decrease the amount of accounts you’re using. Keeping everything together and having fewer accounts, when possible, is probably one of the best decisions I’ve ever made. You save time and you save mental space. You no longer have to remember two user areas and two expiration dates, you will have everything under one spot and you will manage it better. Before I tell you how to move your domain, let me explain why. 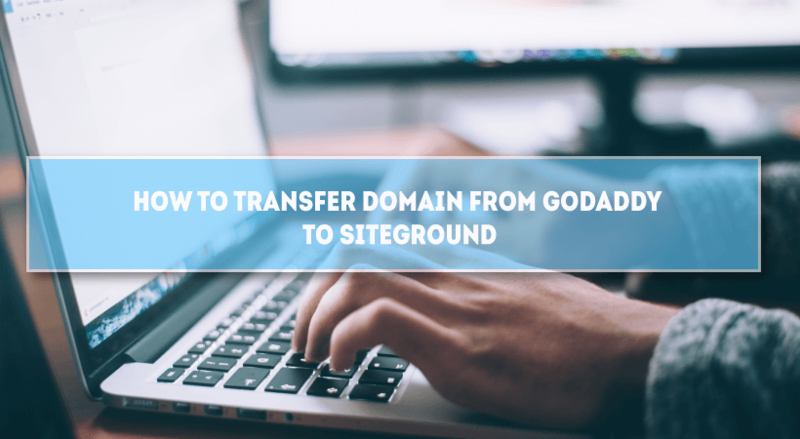 Why Transfer Your Domain From GoDaddy to SiteGround? The main reason people purchase domains from GoDaddy is this one: they offer cheap domain names. Not always, but sometimes they have cool promotions where you can register a domain name for a single dollar for the first year. They’re a domain registrar. Meaning, they can afford selling domains on lower initial prices. So, if you’ve purchased a domain name from them on a discounted rate, good for you. Still, keep in mind that after the first year the prices are pretty much the same as every other domain and hosting provider. So, you can move it to your hosting if it’s elsewhere. Ok, the next logical question is this: Why SiteGround? 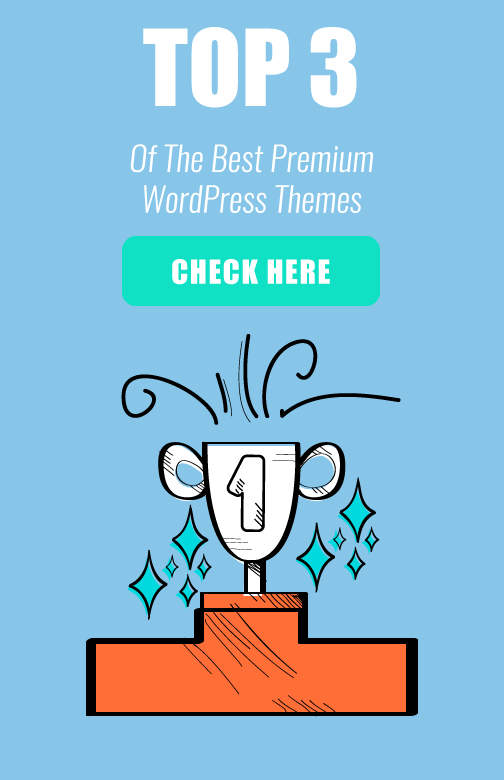 Well, because they’re one of the best WordPress hosts out there, period. There are a lot of reasons why you should choose them for your hosting: Their support is outstanding. Their servers are blazing fast. They offer free SSL’s. Backups. SSD hard drives. Tutorials. Basically, everything you need to have a fast site. SiteGround is my recommended host and I do hope you check them out. Before you even think of transferring your domain name, make sure you’re satisfied with where your domain name is pointing to. I mean, make sure your DNS is pointed to the correct Name Servers. Keep in mind that every DNS change triggers a global propagation that’s between 24 to 72 hours. Sometimes it’s even only a couple of minutes. This means that your website probably won’t be accessible for the mentioned period. The reasons I’m mentioning this is simple: you won’t be able to change your DNS settings when the transfer took place. A domain transfer usually takes between 5 and 7 days. So, for the period of approximately 7 days, you won’t be able the change your Name Servers. 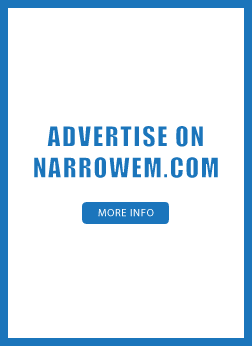 So, make sure your domain name is pointed to where you want to. Unlock your domain name – set status Active. Make sure you have access to the admin email address. Request the EPP code – also called Authorization code. Order the domain transfer from SiteGround with the above information. When transferring a domain name, the first step is always to access the place you’ve purchased your domain name. In my case, I need to access my GoDaddy account. They tried to make a step-by-step wizard for transferring a domain away but it’s not my favorite option. To be honest, I’ve never used this section and it’s quite difficult to be used from the regular customer. It will say that is pending. Keep in mind that it might take a few hours this change to take effect. It should be somewhere here. I don’t buy privacy for my domain names and I don’t know where the actual switch is, still, I believe it should be somewhere on this page. In order to finish the domain transfer, you need to be absolutely sure that you have access to the admin email for that domain name. You will have to verify the transfer on that domain name once the process is started. The EPP code is also called Authorization code. You will need this code to request the domain transfer and later to verify it. Ok, your 50% done. You now have everything you need from your GoDaddy account, the next step will be to access your SiteGround account and order the domain transfer. Add your payment information, check your address and click Pay now to complete the order. It’s not over yet. There is one more thing you need to do. Click on proceed. This will finalize the process and here the wait begins. As I mentioned, it takes between 5 to 7 business days till the transfer is complete. Once this is done, your domain name will be extended with one additional year. That’s of course if your domain name is eligible for that extension. As I mentioned once I started this article, keeping everything under once account saves you a lot of time and nerves. It’s always best to trim down online accounts if possible. This will lead to less emails, less passwords, less notifications. Also, when you transfer a domain name, your expiration date will be extended with one extra year. Basically, the cost for the domain transfer is like a renewal of the domain name. Not for all domains, though. Make sure to check the order page to know if your domain will be extended. 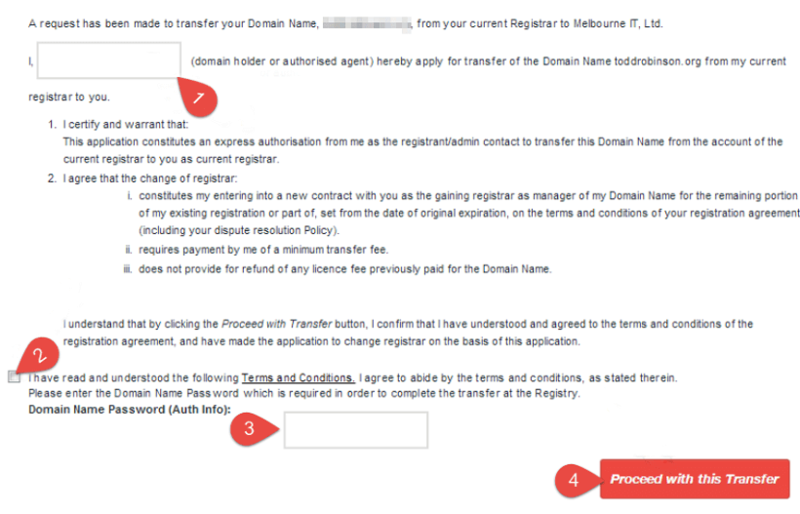 If you’re transferring domain from GoDaddy for the first time it might be a bit complicated. 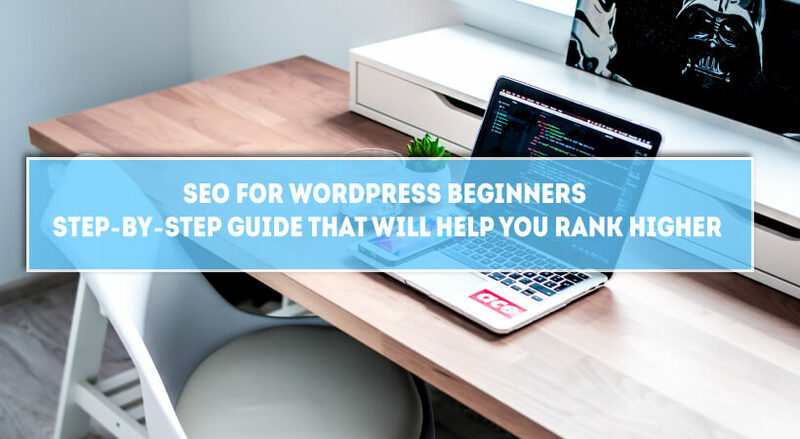 Indeed, there are several steps that aren’t quite obvious and you need a bit of assistance for them. Fortunately, this guide is here. I really hope to have helped you with the transfer of your domain from GoDaddy to SiteGround. Hit me with a comment or an email if you have further questions in regards this topic.